I’d like to talk to you about three things that are relevant to both of us. Firstly, what it means to be a professional in an organisation. Secondly, what it means to be an outsider. And thirdly, I’d like to share some words from Jesus. You and I are both professionals in different fields. I used to work full-time in the arts – comedy, music, and cabaret. Then I became a school teacher. Now I’m back to writing and performing full time. Get it? Whisky… risky? A cheap pun from my nineteen-year-old self. I like to think that I’m making better work today. The principal made the point it was inappropriate for a school teacher to be associated with this kind of content. Even if this was a silly pun I had made years ago as a teenager, it didn’t align with the professional values expected of a teacher at that institution. He requested I take the video offline. I didn’t argue or protest. I certainly didn’t respond by making another post of the same nature. I took it offline for the duration of my contract. I’m not saying that I agreed with him. I didn’t think my silly pun was immoral, and I privately didn’t believe that my video would do any harm. But I understood this wasn’t just about me. My public presence, online or offline, had to align with the values and the code of conduct of my organisation. To work for an organisation, you have to respect their rules. If you don’t like their rules – if you feel that there is an irreconcilable clash between your values and their values – you shouldn’t work for them. There’s a whole section dedicated to LGBTI inclusion. 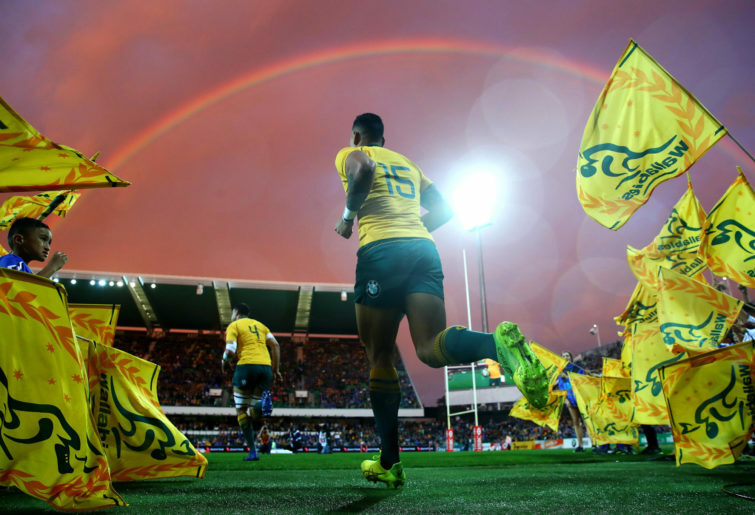 They clearly state, “Rugby Australia is a Foundation Member of Pride in Sport”. They didn’t hide that this was a part of their values. If you weren’t willing to play by their rules, you should have done your research before working for them. That’s not just advice for an athlete. I’m not telling you how to play rugby. This is about being a professional in any organisation. I understand you have won awards and broken records in your area of work. So have I. So have lots of other people. That doesn’t set us above anyone else. We still have a duty to respect the values of the organisations that we join – and if we can’t do that, we should leave those organisations. There are people who don’t like us, Israel. Right now, I’m not talking about people who don’t like your tweets or my stand-up. I’m talking about people who aren’t massive fans of the colour of our skin. There have been times and places in history when neither of us would have been welcome. In the wrong place at the wrong time, they wouldn’t have let you onto a field, and they wouldn’t let me onto a stage. If we walk into the wrong room, even today, we’ll face some cold shoulders. This isn’t a huge issue for me at this point in my life. I have great friends and colleagues, and I feel respected and welcomed in the professional and personal circles in which I move. I hope you live a life that is as free from racism as it possibly can be. But I’ve known, as I’m sure you have too, rooms full of faces that turned away before I’d even said hello. Gay people know this feeling too. The National LGBTI Health Alliance provides some sobering statistics. LGBTI people suffer from higher incidences of depression, anxiety, and psychological distress than the general population. LGBTI Australians aged 16 to 27 are five times more likely to commit suicide than the average Australian. Young gay people are rugby fans, players, coaches and referees. They are members of our community. As a Wallaby, you represent Rugby Australia. Don’t be a cold shoulder, a door in the face, a kick in the guts to some of our most vulnerable people. Telling gay people they’re not welcome is a sure way to ensure we lose some great people – and I mean “lose” literally. I don’t want to delve into our religious differences, Israel. It’s clear we have divergent viewpoints on faith and morality. Right now, I’d like to focus on some common ground. Whatever my disagreements with the teachings of yours or any other church, I’ve always been a huge fan of Jesus and his words. Since you try to live by his message, I’d like to share a couple of quotes from the Gospels. He puts it very well. I hope you agree.